We’re all aware of the mobile explosion that is happening right now, but what about all the poor developers that are trying to keep up with managing all the available building tools? Enter Appboy, the complete mobile CRM platform that is helping developers engage with their users like never before. I caught up with founders Bill Magnuson and Mark Ghermezian to talk Appboy inception and the importance of office culture on this session of The Startup Sit Down. Hey Mark and Bill, thanks for taking the time to give us the Appboy lowdown. Our KillerStartups fans are looking forward to being inspired! Right, so tell us a little about where you’re both coming from. Mark- For me, this is my third startup. I started a MVNO in 2004, which is a mobile virtual network operator, similar to what Virgin Mobile does today. I sold that in 2007. Before that I did restroom advertising, and was able to sell that. 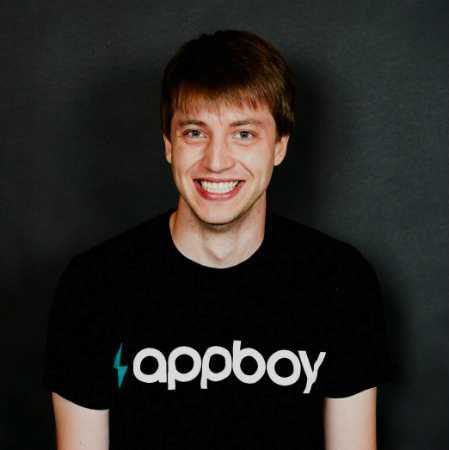 So, today I’m co-founder and CEO of Appboy. Bill- I went to MIT, graduated in Computer Science in 2009. 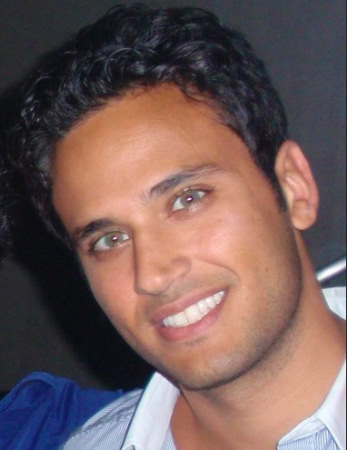 I worked at Google for a while and worked on the Android project. I then worked in finance for a little while, at Bridgewater and Associates in Connecticut. After being there for a year and a half I decided to move on. By chance I ran into someone who introduced me to Mark, and we got together and started appboy. What makes Appboy so killer? Mark- Today there’s a lot of tools for app developers, but many of these tools are stand alone and don’t have the ability to interact with other tools. What we’ve done with Appboy is combine all these tools (push messaging, analytics, helpdesk and audience segmentation) to create one powerful mobile CRM platform for developers. We’re able to take it a step further because when a user of your app actually submits feedback to you through the app using our platform, we can actually show you who this user is—where they come from, how much they’ve spent on in-app purchase, etc.— and we take all that and allow developers to even make segmented groups of users as well. So for example, you can see which users have used your app more than 100 times or just users that are females or males. So can communicate with those users on a group basis. Bill- Exactly, so we think analytics should be a means to an end and the more appropriate end is the customer relationship management and marketing tools. All our tools are driven by the data we have. 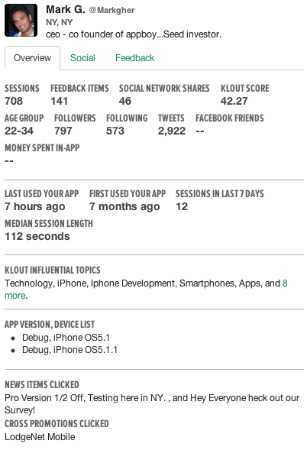 Another thing that makes appboy unique in the marketplace is that when we have the identity of the user, we actively go out to external data sources (Twitter, Klout, etc) to pull in other metadata, so we’re actively maintaining those user data records. How many are on your team now and what’s your office vibe? 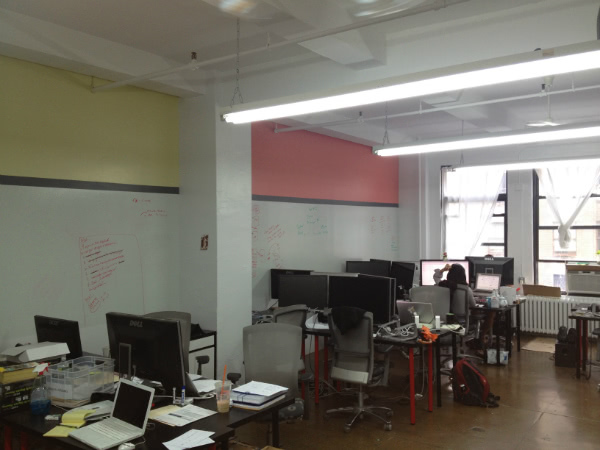 Mark- We’re all based in New York, we just moved into our new office in the garment district. We have about 10 people today and we’re growing. Awesome, and I can imagine it’s pretty chilled out. Bill- Yeah, pretty chilled. Most of us either walk or bike to work and we listen to music. It’s a good time. Everyday we all eat lunch family-style in the conference room. Someday the conference room won’t be big enough, but for now it great to all eat together. What’s on your music-streaming site of choice, and what’s currently playing? Bill- What we’re doing right now is using a collaborative Spotify playlist in the office. Spotify is awesome, but I have two issues with it. One, there’s no good way to have everyone’s speakers play the same music at the same time. So, now we just have one big speaker system hooked up and people stream to it using airplay. The other thing is Spotify doesn’t have everything. There’s a lot of dubstep remixes from SoundCloud, so when people add things to the collaborative playlist that’s not in Spotify, we actually have a shared dropbox folder where you drop the mp3 into that and in syncs around the office. Tell us about nabbing Ryan Holmes of Hootsuite for your advisory board? How’s that collaboration going? Mark- Because of what we’re building is a platform where we’re engaging people and use it as a CRM platform for apps, Ryan Holmes was a natural fit. He’s doing the same thing with Hootsuite, but more on the social networking side. He’s built it from the bottom up. He’s been awesome to work with and has given us great insight for what we’re doing. Upcoming projects or goals you’re working on for Appboy? Bill- We have two big pushes going on right now. One of them is platform expansion and moving out of just the iPhone. We want to expand to iPad, Android, and maybe eventually move into mobile web. The second big thing is really building out more of these data-driven marketing tools. Like Mark said, we can segment user data, and what we’re looking to do is to allow the filters that people can create right now to do things like send targeted emails, etc., to really drive the entirety of the behavior on our dashboard. Parting words for our startup newbies and wannabies? Mark- I think for me it’s just been staying focused and understanding when you need to pivot to the marketing needs. Also, building the right team and culture. These are people that you’ll be spending the most time with over the next few years. So, for me these are the most important things. Bill- For me, it’s keeping your ears open and anticipating future needs. Mobile is a really interesting space, it’s growing really fast and there’s money being poured into it, but it’s important to just listen to our clients and see what they want. But, it’s also important to take a step back and realize our clients don’t know everything about mobile. So, it’s important not just to be reactive but to anticipate what those problems are and stay ahead of the curb. Thanks guys! Love that you’re blasting collaborative playlists in the office. My favorite dubstep remix at the moment is Ben Howard’s Black Fly. Check it! And, of course, check out Appboy to make sure you manage and maximize your mobile app user engagement.